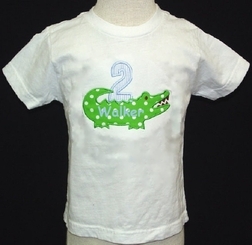 An adorable alligator birthday shirt instead of a John John for your little one when you want him to look a little more "grown up". 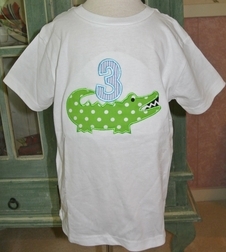 We just love Mr. Alligator. (who looks like he is ready to eat some cake!) 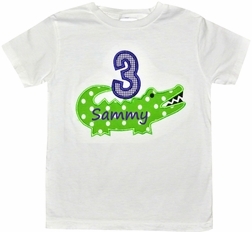 Above the alligator is embroidered your choice of number and the child's name is inside the alligator. 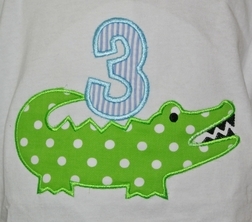 You may choose the fabric for the number and order optional matching shorts.